Chances are you’re more likely to follow the recommendation of a friend than what any old ad tells you to do. For that reason, word-of-mouth is a highly effective — and necessary — customer acquisition strategy. Listen as Daniella Yacobovsky, the co-founder of the rapidly growing e-commerce site BaubleBar, breaks down how to nurture word-of-mouth to drive sales and promote company growth. 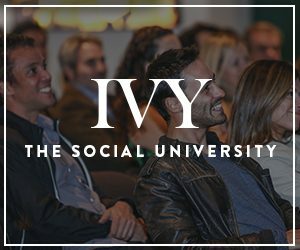 Yacobovsky and her co-founder, Amy Jain, have been recognized by Inc, Fast Company, and Tech Crunch, amongst others, as the “Most Influential Female Founders.” Read our exclusive interview with Yacobovsky in IVY Magazine to learn more.